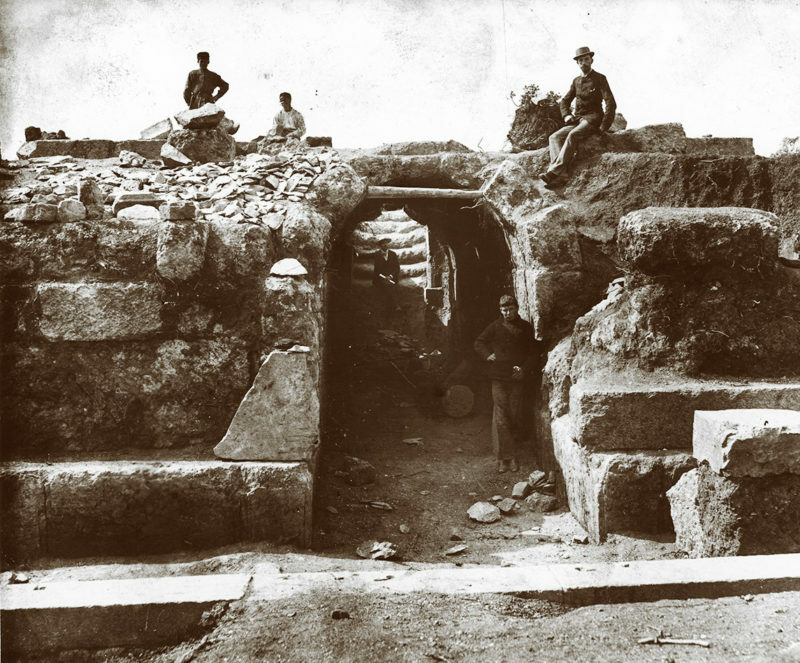 Several major Greek sites have been excavated by non-Greek archaeological missions since the 19th century. Among the most prominent of these sites are Delphi, Delos, Malia, Thasos (École française d’Athènes, founded in 1846); Olympia, the Kerameikos in Athens, Samos, the Kabirion in Thebes (Deutsches Archäologisches Institut, 1874); the Agora in Athens, Corinth, Isthmia, Eretria (American School of Classical Studies, 1881); Knossos, Sparta, Lefkandi in Euboea (British School, 1886); Lousoi, Aigeira (Österreichisches Archäologisches Institut, 1898); Rhodes, Kos, Phaestos, Aghia Triada (Scuola Archeologica Italiana, 1900). Another wave of creation of foreign schools and institutes occurred after the Second World War. In 2018, eighteen Schools and archaeological Institutes are actively recognized and operate in Greece. Greek legislation allows foreign missions to apply for authorization to conduct archaeological work in Greece under certain conditions. These authorizations are granted by the Greek Minister of Culture, on the recommendation of the Central Archaeological Council. All scientific research, whether in the field or in museums, is subject to the authorization and oversight of the Minister of Culture, represented locally by officials of the Ephorates of Prehistoric, Classical and Byzantine antiquities. Foreign Schools of archaeology are expected to deliver an annual report on their activities to the Greek authorities. The ruins excavated, if they are of major interest to the public, must be restored and developed; if not, they are reburied for better protection. Objects found during excavations must be deposited in the local museum. The scientific rights (publication rights) belong to the “inventors” (that is, to the person or persons who make the discovery), at least for a limited time (from two to five years), beyond which the discoverer loses exclusive rights to the discovery. The law concerning antiquities, approved on June 28, 2002 by the parliament of the Hellenic Republic, regulates in detail the conditions under which the Greek archaeological heritage may be excavated and preserved.